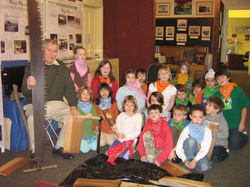 We can give you an hour guided tour or a teacher-led "free explore". We encourage preliminary visits by classroom teachers so they can access the museum space and content in relation to classroom learning. Time Travel Sunshine Coast is a heritage smart phone walking tour that allows users to explore the fascinating histories of the Sunshine Coast on their mobile phones. 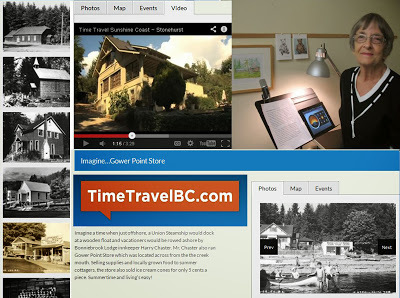 Hosted by Time Travel BC, users download the free app and navigate to 16 historical points of interest on the lower Sunshine Coast. At each location, video vignettes, oral histories and archival photographs from the Museum collection reveal the historic significance of the site. Download the free app, for iPhone/iPad, for Android. To view on your home computer, begin your time travels here !